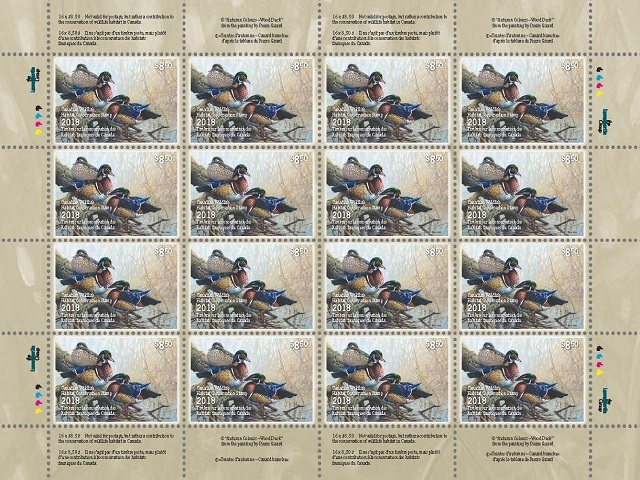 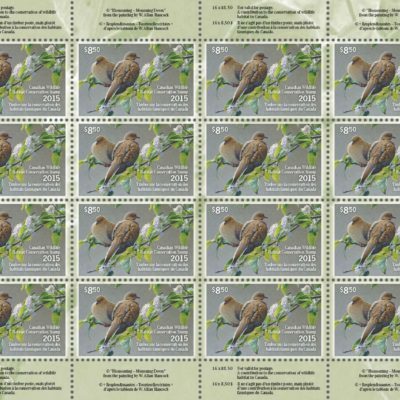 Canadian Wildlife Habitat Conservation 16-pane Stamp sheet. 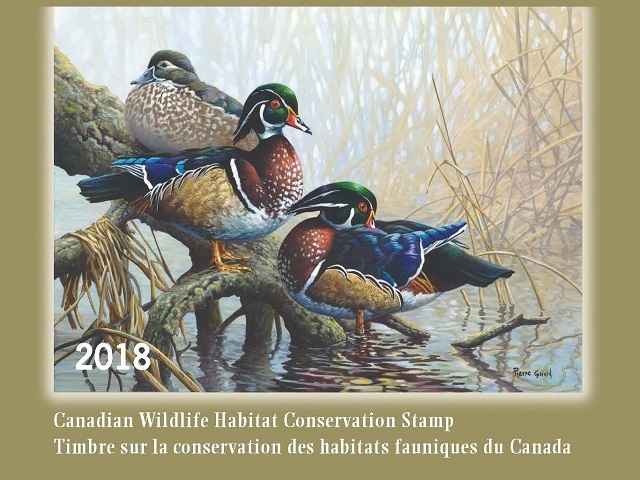 Canadian Wildlife Habitat Conservation Stamp is also known as the Canadian Duck Stamp. 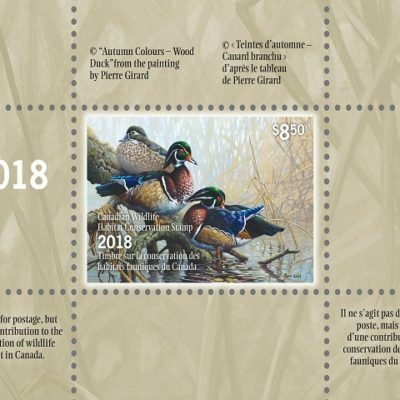 The 2018 Stamp features the painting image, “Autumn Colours – Wood Duck” by Quebec wildlife artist, Pierre Girard. 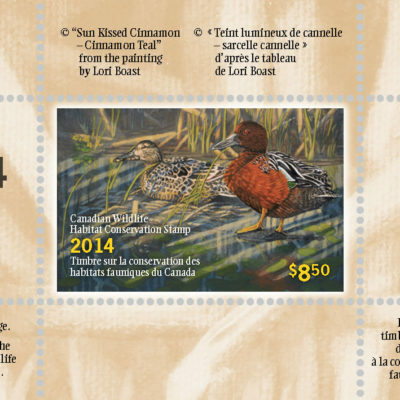 The 16-pane Stamp sheet comes in a souvenir booklet.